4. Scroll down to [Forwarding] section then click [ADD] button. 5. 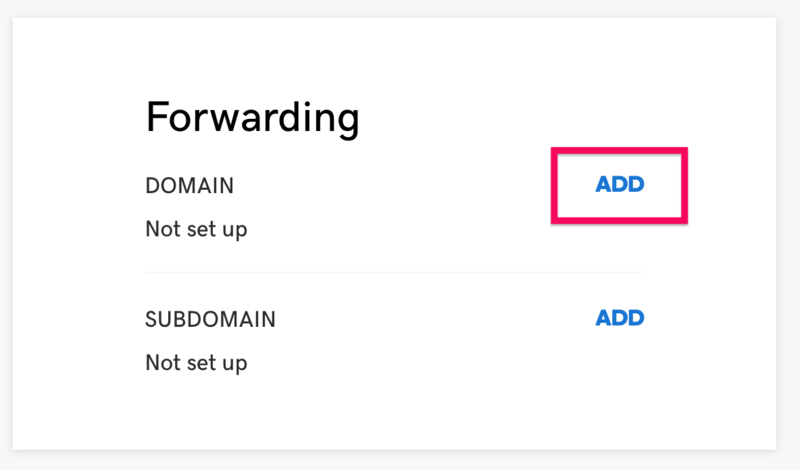 Input your domain name with assigned domain (e.g. www.example.com or blog.example.com ) to [FORWARD TO] field. 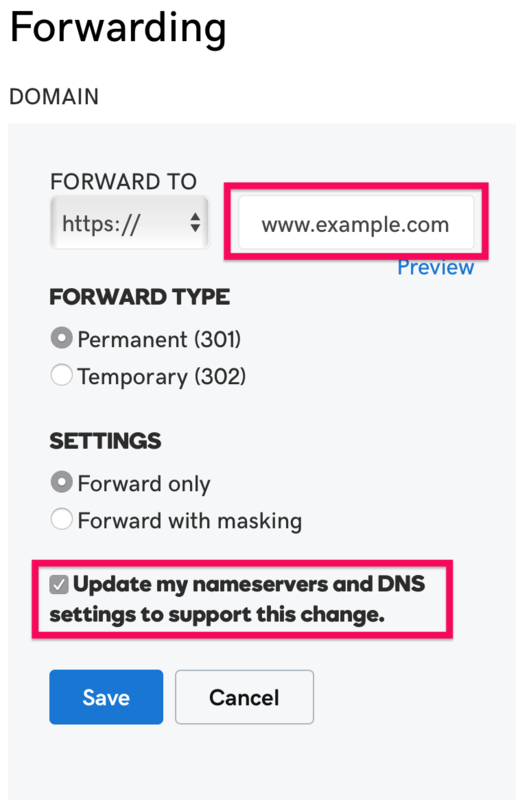 Check [Update my nameservers and DNS settings to support this change] if necessary . 8. 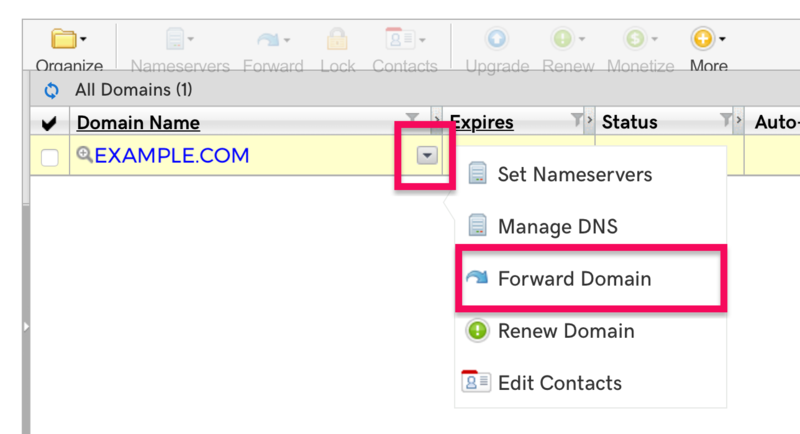 Access your domain name and check domain forwarding works. 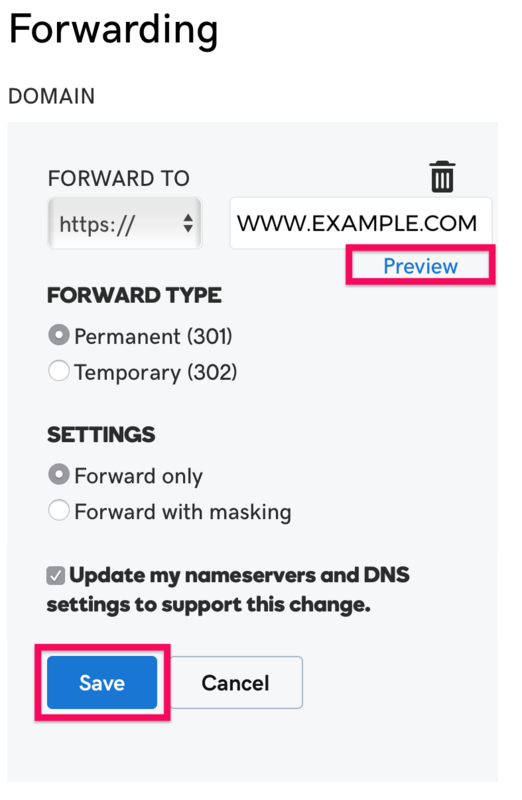 If [Update my nameservers and DNS settings to support this change] is checked, Forwarded will be displayed in the value field.